Contrary to everything you’ve ever been told, in most developed countries men are actually more disadvantaged than women, according to new research published in one of the world’s leading scientific journals. The academics behind the new study say current ways of measuring gender inequality are “biased to highlight women’s issues” so they fail to produce an accurate picture. Their new yardstick, snappily named the Basic Index of Gender Inequality (BIGI), instead focuses on three factors – educational opportunities, healthy life expectancy, and overall life satisfaction. The academics, from the University of Missouri in the US and the University of Essex in the UK, used these factors to calculate equality scores for 134 nations, representing 6.8 billion people. The results are in and, surprisingly, men were found to be more disadvantaged than women in 91 countries while women were more disadvantaged than men in 43. Men are worse off in the US, Russia and most European nations. 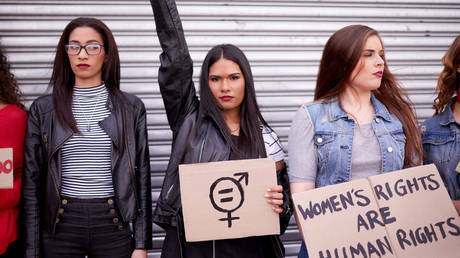 “No existing measure of gender inequality fully captures the hardships that are disproportionately experienced by men in many countries and so they do not fully capture the extent to which any specific country is promoting the well-being of all its citizens,” one of the lead researchers, Professor Gijsbert Stoet, explained. We’re not saying that women in highly developed countries are not experiencing disadvantages in some aspects of their lives. What we are saying is that an ideal measure of gender equality is not biased to the disadvantages of either gender. Doing so, we find a different picture to the one commonly presented in the media. The research, which was published this week in PLOS ONE, found that the world’s most developed countries came closest to gender equality, with women gaining a slight advantage. In the least developed nations women were nearly always behind men, largely due to a lack of educational opportunities. For more than a decade the Global Gender Gap Index has been one of the most established measures of national gender inequality. But Professor Stoet argues that it fails to measure issues where men are at a disadvantage, such as harsher punishments for the same crime, compulsory military service and more occupational deaths. He also says the complexity of the index means it can be difficult to distinguish whether gender differences are the result of social inequalities or personal preference. You can check the rankings for all 134 countries and get more detailed information about individual nations on the BIGI website.